Offers college students detailed information on participating summer camps, online applications, and links to camp websites. Provides camp directors with variety of services and fee options. Offers kids camps, teen camp, and family camps in Northern California for insulin-dependent diabetics. Includes program descriptions, rates, and transportation information. Concho Valley Council camp near Menard. Features camp video, forms, maps, and program for upcoming summer camps. Operates five camps: one each in Austria, Canada, England, France, and Switzerland. Each camp draws on the character of the host country in developing its program and, in addition to English, the host countrys language is spoken at camp. Program, parents guide, and application. Christian camps in North Carolina - Camp Merri-Mac for girls and Camp Timberlake for boys. J Robinson Camps has 26 years experience producing elite athletes. With a variety of camps across the country, We ensure your camp experience will improve your skills and your life. Holds day camps in Lynchburg, Virginia for boys and girls ages 6 to 17. Sessions include football camp, cheerleading camp, and co-ed basketball camp. Schedule, staff, rates, and registration form. Traditional camp for boys in grades 1 through 9, located on Long Lake in Naples. Three camps in one, separated by grade. Site offers camp song lyrics, 360 degree photos, online games, and chat. Features Camp Crestridge for Girls and Camp Ridgecrest for Boys. Details Christian summer youth camp programs, rates, and alumni news. A search engine for camps helping you to find ideal camps and camp jobs. Features Camp Crestridge for Girls and Camp Ridgecrest for Boys near Black Mountain. Details Christian summer youth camp programs, rates, and alumni news. Features Camp Crestridge for Girls and Camp Ridgecrest for Boys. Details Christian summer youth camp programs, rates, and alumni news. Black Mountain, North Carolina. Co-ed camp offers sports and water activities, as well as fine arts, hobbies, mini-golf, cooking, fitness training, and self-defense. Also offers out-of-camp trips and speciality camps. Provides information on current AAWCS camps and clinicians and an on-line form to arrange additional camps. A comprehensive database of day camps and overnight camps throughout the United States and around the world. Registration discounts are also available. Florida Conference of Seventh-Day Adventist Camp Ministries Department offers three facilities for Christian retreats, spiritual camps, and conferences: Camp Kulaqua, Pine Lake Retreat, and Stillwaters Lodge. Details of each facility. Long-term boys and girls camps located 1/2 mile apart near Minerva on a private lake in the Adirondacks. Parent information, video tour of camp [requires RealPlayer], dates, and alumni section. [Some parts of site require password]. Residential and day summer camps throughout the UK for 6 to 17-year-olds. Describes programs available and gives camp locations. Specializing in team and individual camps for high school field hockey players. Camp highlights, schedule, fees and coaching staff. A residential summer camp designed to fit the needs of girls 8-15. Features activities, family camp, philosophy and counselor information. If the business hours of Kids Camps in may vary on holidays like Valentine’s Day, Washington’s Birthday, St. Patrick’s Day, Easter, Easter eve and Mother’s day. We display standard opening hours and price ranges in our profile site. We recommend to check out kidscamps.com/ for further information. 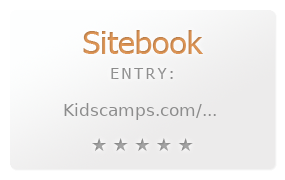 You can also search for Alternatives for kidscamps.com/ on our Review Site Sitebook.org All trademarks are the property of their respective owners. If we should delete this entry, please send us a short E-Mail.